If you are in the moo-d for a gourmet burger, then Moo Moo’s Burger Barn is the place to be. The Moo (as many call it) offers a whimsical, full table service, casual dining restaurant, featuring a variety of cooked-to-order juicy burgers. Tantalize your taste buds with one of 20 gourmet burgers served on a variety of buns, or create your own! If you are not in the mood for Moo Burgers, we offer the NO MOO (GardenBurger), along with a variety of chicken and other sandwiches, salads and Hot Dogs, an all-natural Turkey burger, and a variety of Salads, Fish, Chicken and other All-American Sandwiches. To complement your choice, Moo Moo’s features French, beer-battered, and sweet-potato fries, beer-battered onion rings. Finger foods like mozzarella and zucchini sticks, chicken tenders, and jalapeño poppers are on the menu. Quench your thirst with sodas, flavored drinks, real milkshakes, malts, old fashioned floats made with hand-scooped ice cream. You’ll find the atmosphere at Moo Moo’s as enjoyable as the food. With Blues, Oldies, or Jazz in the background, you are first greeted by the “Dancing Moo Moo’s” mural at the entrance. The kitchen is framed by a bright red open barn painting or barn wood. 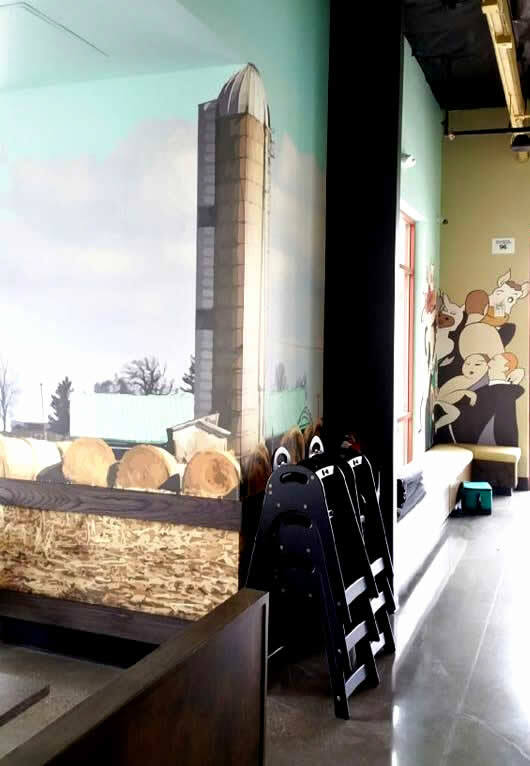 Although the theme on the walls slightly changes from one location to another, there is always a pastoral scene, and some form of a windmill, a silo, a weather vane over the rest of the walls, and the adorable Salty & Peppy, our cow-shaped salt and pepper shakers. The Moo has grown into four locations and serves a complete Breakfast Menu at Trinity Parkway (Stockton, CA) and Stanford Ranch (Rocklin, CA) locations. 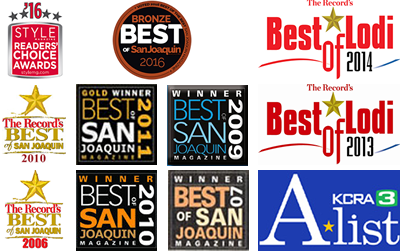 We are an award winning full service, casual dining restaurant because we care about the quality of food, service, value and experience we offer to our guests.